The Planetary Spectrum Generator (PSG) is an online tool for synthesizing planetary spectra (atmospheres and surfaces) for a broad range of wavelengths (50 nm to 100 mm, UV/Vis/near-IR/IR/far-IR/THz/sub-mm/Radio) from any observatory (e.g., JWST, ALMA, Keck, SOFIA), any orbiter (e.g., MRO, ExoMars, Cassini, New Horizons), or any lander (e.g., MSL). This is achieved by combining several state-of-the-art radiative transfer models, spectroscopic databases and planetary databases (i.e., climatological and orbital). A 3D (three-dimensional) orbital calculator for most bodies in the Solar system, and all confirmed exoplanets. The orbital calculator calculates all possible geometry parameters needed for computing spectroscopic fluxes. Possible observing geometries are: observatory, from surface, nadir, limb, Solar occultation and Stellar occultation. The program can ingest billions of spectral lines of almost 1,000 species from several spectroscopic repositories (e.g., HITRAN, JPL, CDMS, GSFC-Fluor). Atmospheric templates (vertical profiles of temperature and abundances) are available for the main atmospheres (Venus, Earth, Mars, Titan, Neptune, Uranus), and general atmospheric and surface parameters are available for the other bodies. For Earth and Mars several templates are available (Tropical, Polar, etc.). The code has a simplified model for cometary outgassing and dust distribution. Line-by-Line (LTE) Cometary Radio Model. Line-by-Line (non-LTE) Cometary Fluorescence Model. The code synthesizes spectra in any desired radiance unit (spectral radiance, spectral intensity, spectral flux, radiant energy density, irradiance, spectral irradiance, magnitude, etc.) and transmittance output - conversions between K, Jy, W/m2/sr, magnitude, can be useful. It includes the possibility to integrate stellar templates by adopting the Kurucz 2005 stellar templates (0.15-300 μm), and the high-resolution ACE Solar spectrum (2-14 μm) when considering the G-type template. 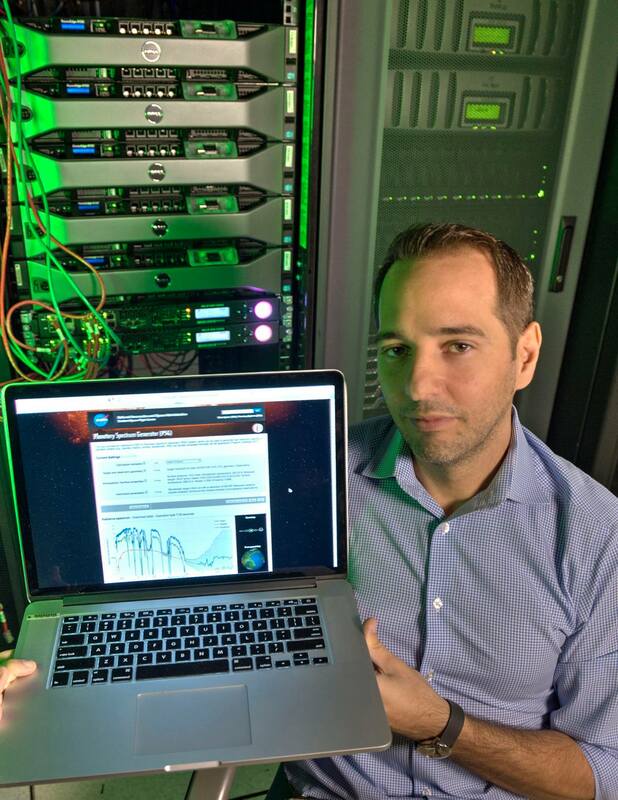 The code allows applying (or simply showing) terrestrial transmittances for a broad range of conditions (altitude and water vapor columns, also from SOFIA). It includes a realistic noise calculator for quantum and thermal detectors, that integrates several key instrument/instrument models (e.g., JWST, Keck, ALMA, SOFIA, IRTF, HST) and typical detector templates (CCD, heterodyne detectors, bolometers, etc.). 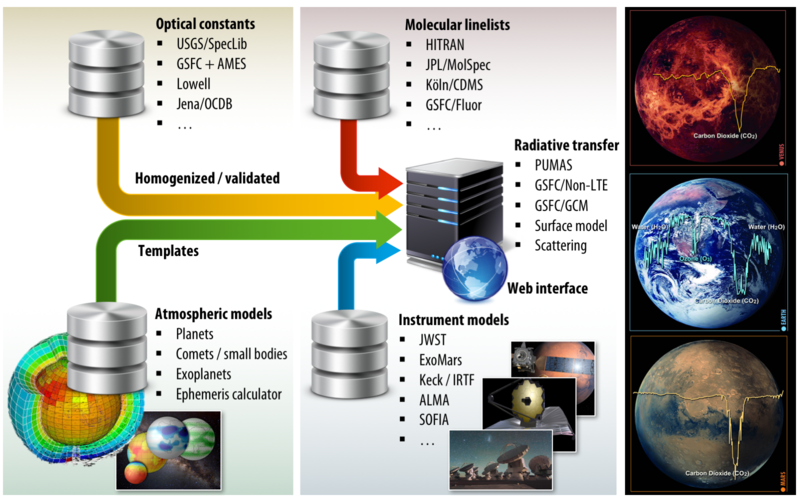 Figure 1: By combining a modern and versatile online radiative transfer suite that accesses state-of-the-art spectroscopic databases, the tool can synthesize a broad range of planetary spectra. The tool was developed and conceptualized in 2015 by Geronimo Villanueva (NASA-GSFC), with the tool first becoming online in 2016. It has been only possible thanks to decades of meticulous work by hundreds of laboratory spectroscopists (e.g., Quirico and Schmitt 1997; Brown et al. 2013) and radiative transfer modelers (e.g., Edwards 1992; Clough et al. 2005). Several planetary scientists have offered their help to further improve the capabilities of the tool, and please contact us if you have further suggestions or recommendations. Geronimo Villanueva is a planetary scientist at NASA-Goddard Space Flight Center who specializes in the search for organic molecules on Mars and on icy bodies. He is the leader for Mars studies for the James Webb Space Telescope (JWST) and scientist for the ExoMars 2016 mission. He also serves as Science and Management advisor to several observatories, including Keck, NASA-IRTF and ALMA. His work on small bodies led the International Astronomical Union (IAU) to name asteroid '9724' after Geronimo, while the American Astronomical Society (AAS) in 2015 honored him with the Urey Prize (young planetary scientist of the year). Since completing his Ph.D. studies at the Max-Planck-Institute for Solar-System Research in Germany in 2004, Geronimo has participated in many projects at three space agencies, NASA, ESA (European Space Agency) and DLR (German Aerospace Agency), with a broad range of research experience in planetary, exploration and Space sciences. Michael Smith (NASA): guided the development of the scattering radiative transfer module. Silvia Protopapa (UMD): guided the development of the surface scattering (Hapke) module. Avi Mandell (NASA): guided the development of the exoplanet simulator and modeling modules. Sara Faggi (NASA/NPP): guided the development of the graphical interface and inter-operability of the modules. 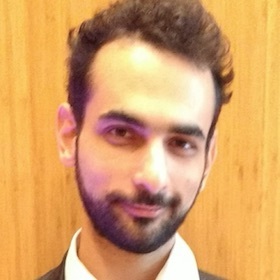 Giuliano Liuzzi (NASA/AU): guided the development of the optimal estimation module. Tilak Hewagama (NASA/UMD): assisted with the development of the instrument simulator and noise calculator. 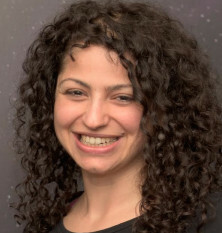 Collaborators: Emily Wilson (NASA, telluric spectral modeling and MERRA2), Michael Kelley (UMD, cometary dust emissions and Afρ), Michael Wolff (SSI, atmospheric scattering), Vincent Kofman (NASA, high-energy linelists), Matteo Crismani (NASA, ExoMars modeling), Saxena Prabal (NASA, disk sub-sampling), Thomas Fauchez (NASA, GCMs and exoplanetary atmospheric templates). PSG: Villanueva, G. L., Smith, M. D., Protopapa, S., Faggi, S., Mandell, A. M., Planetary Spectrum Generator: an accurate online radiative transfer suite for atmospheres, comets, small bodies and exoplanets, Journal of Quantitative Spectroscopy and Radiative Transfer, Volume 217, pp. 86-104 (2018). PSG-PUMAS: Villanueva, G. L., Mumma, M. J., Novak, R. E., Kaufl, H. U., Hartogh, P., Encrenaz, T., Tokunaga, A., Khayat, A., Smith, M. D., Strong water isotopic anomalies in the martian atmosphere: Probing current and ancient reservoirs. Science, Volume 348, Issue 6231, pp. 218-221 (2015). PSG-PUMAS/Scattering: Smith, M. D.; Wolff, M. J.; Clancy, R. T.; Kleinböhl, A.; Murchie, S. L., Vertical distribution of dust and water ice aerosols from CRISM limb-geometry observations, JGR Planets, Volume 118, Issue 2, pp. 321-334 (2013). PSG-Hapke/Surfaces: Protopapa et al., Pluto's global surface composition through pixel-by-pixel Hapke modeling of New Horizons Ralph/LEISA data, Icarus, Volume 287, p. 218-228 (2017). PSG-CEM/Fluorescence: Villanueva, G. L., Mumma, M. J., DiSanti, M. A., Bonev, B. P., Gibb, E. L., Magee-Sauer, K., Blake, G. A., Salyk, C., The molecular composition of Comet C/2007 W1 (Boattini): Evidence of a peculiar outgassing and a rich chemistry. Icarus, Volume 216, Issue 1, p. 227-240 (2011). PSG-CEM/Radio: Villanueva, Geronimo L., The High Resolution Spectrometer for SOFIA-GREAT: Instrumentation, Atmospheric Modeling and Observations. PhD Thesis, Albert-Ludwigs-Universitaet zu Freiburg, ISBN 3-936586-34-9, Copernicus GmbH Verlag (2004). Linelist-Fluor-C2H6: Villanueva, G. L., Mumma, M. J., Magee-Sauer, K., Ethane in planetary and cometary atmospheres: Transmittance and fluorescence models of the nu7 band at 3.3 μm. Journal of Geophysical Research, Volume 116, Issue E8, CiteID E08012 (2011). Linelist-Fluor-H2O: Villanueva, G. L., Mumma, M. J., Bonev, B. P., Novak, R. E., Barber, R. J., Disanti, M. A., Water in planetary and cometary atmospheres: H2O/HDO transmittance and fluorescence models. Journal of Quantitative Spectroscopy and Radiative Transfer, Volume 113, Issue 3, p. 202-220. (2012). Linelist-Fluor-CH3OH: Villanueva, G. L., DiSanti, M. A., Mumma, M. J., Xu, L.-H., A Quantum Band Model of the nu3 Fundamental of Methanol (CH3OH) and Its Application to Fluorescence Spectra of Comets. The Astrophysical Journal, Volume 747, Issue 1, article id. 37, 11 pp. (2012). Linelist-Fluor-HCN/HNC/NH3/CH3CN: Villanueva, G. L., Magee-Sauer, K., Mumma, M. J., Modeling of nitrogen compounds in cometary atmospheres: Fluorescence models of ammonia (NH3), hydrogen cyanide (HCN), hydrogen isocyanide (HNC) and cyanoacetylene (HC3N). Journal of Quantitative Spectroscopy and Radiative Transfer, Volume 129, p. 158-168. (2013). The PSG servers and applications are frequently tested to ensure the highest standards of security, performance and online compliance. These tests are performed employing state of the art industry tools (e.g., google analytics, mozilla observatory) that utilize comprehensive and stringent methods. See below the latest scores obtained using these applications on the PSG servers.